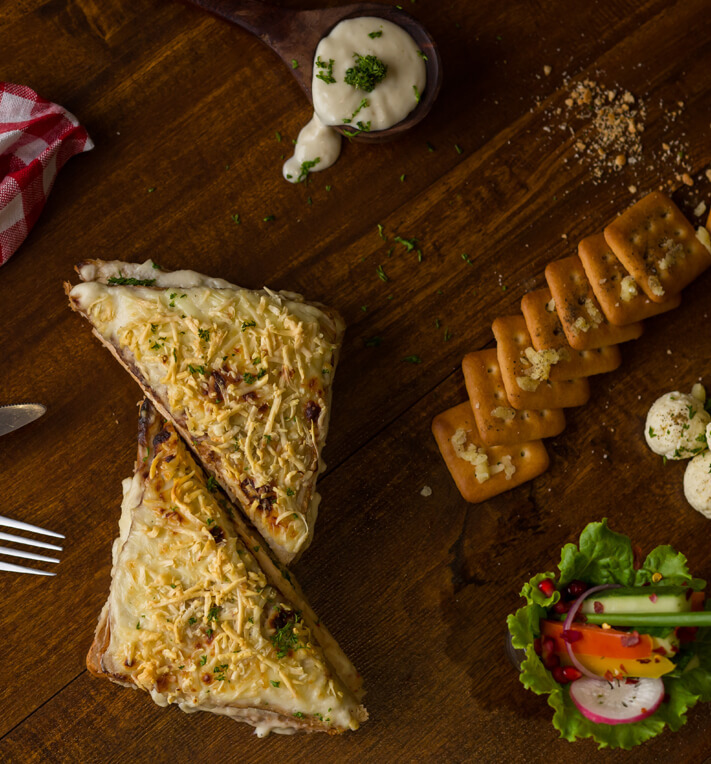 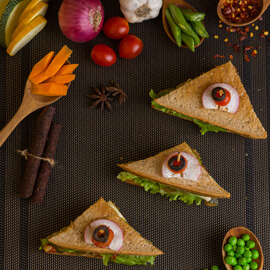 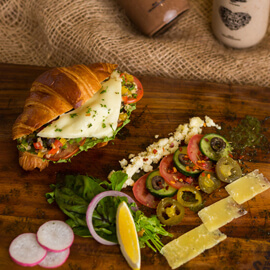 The Smoothie Bar - Pondicherry, Auroville & Chennai - Croque Monsieur Veg - Dollops of rich, creamy Béchamel Sauce and slices of Bread, topped off with Cheese and Herbs and baked to perfection. 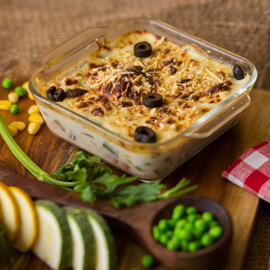 Fresh cut mixed Vegetables baked to perfection in White Sauce, topped lavishly with Cheese. 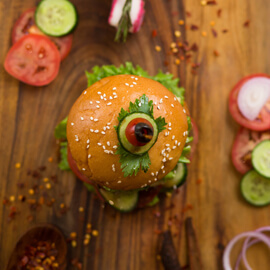 Homemade Mixed Veggie patty and Cheese, served on an Aioli-smeared warm burger bun.